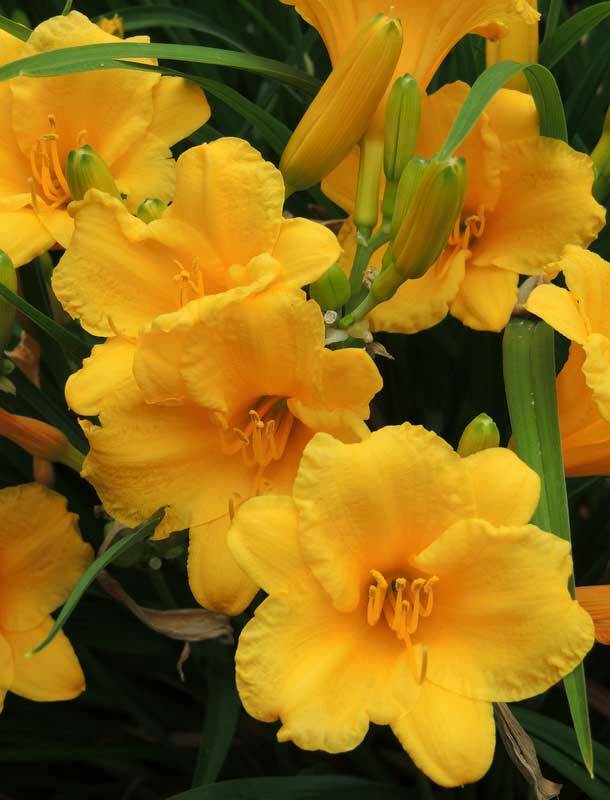 The most popular and widely-grown daylily of all time. Renowned for its repeat blooms, its bright golden blooms decorate our garden from late May until frost. Compact mounded foliage, vigorous growth and phenomenal blooming make it an excellent choice. 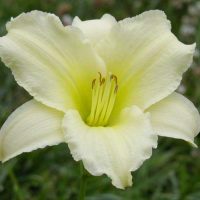 Winner of the Stout Medal, daylily’s highest award. 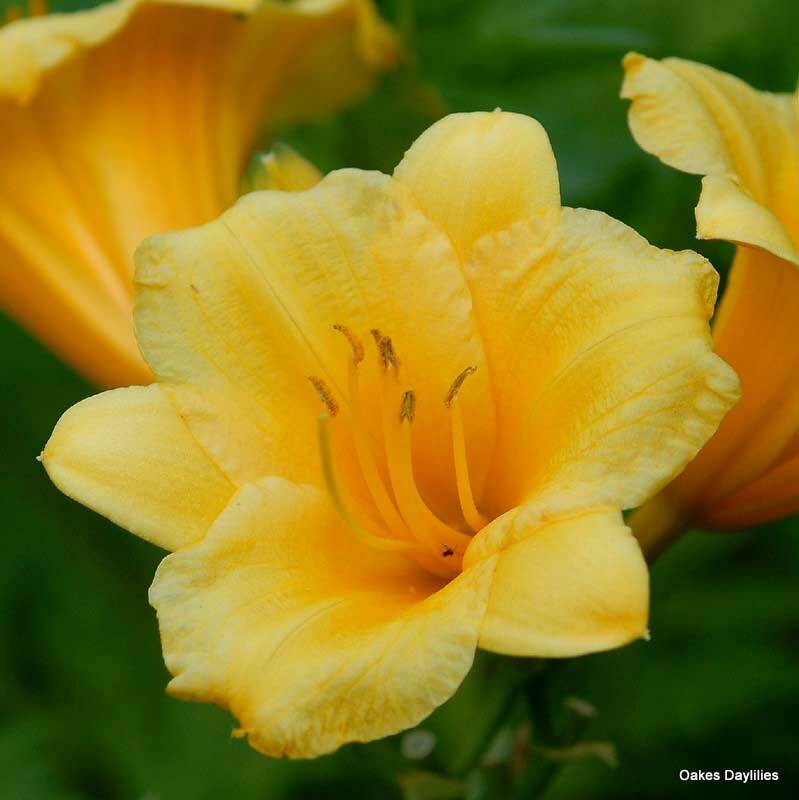 This lovely day lily blooms and blooms and blooms until frost. You can’t ask for more than that. These are not the most beautiful flowers, nor the biggest, nor the spiderest (my favs) but they are religious. They bloom every year, and they expand. I am at the point of needing to weed some out and give them away. This was not a good year for any of the early bloomers because the late frost killed the early flowers, but they came out later and though not as gorgeous as usual continued blooming randomly this year.I have a whole yard of them and added extras which I plan to remove next year because the stellas should be alone. They are cheap remember that and they are durable remember that and they make a beautiful bank..and you can get black eyed stellas, nd orange stellas and yellows . Do all of it and you will have an entire bank for a fraction of the price of fanciness. And they need little help except for deer proofing in the early spring. Once the leaves are up…no deer. Perfect daylily that gives so much and is so resilient. Brightens up any yard, and is kid and pet proof. I am amazed at this flower’s power. Still blooms in the driest conditions, and blistering summers- south of Houston. I can see why this lily is so popular, it won’t disappoint you, and the cost is little for what this flower can do. Saying that this remarkable lily is over used is like pouring vinegar over your ice cream, so sour. Such a reliable bloomer & rebloomer. I have a yellow house so they are perfect for the border in front. I have other daylilies behind them but they don’t bloome nearly as often or with as many blooms as Stella. Love it!! Will keep dividing it and adding to my borders! Everyone has an opinion. 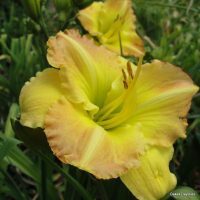 As for me I have several thousand Stella De Oro daylilies I quess you know what I think of them. aaaaa beautiful yellow flower that comes early and stays late. It fills up bigger and bigger each year until time to divide it up. Also for the price you can;t beat it. For those who purchase bare roots from large stores, why are you even trying to compare them to Oakes. It is like comparing an apple to an orange, don’t. 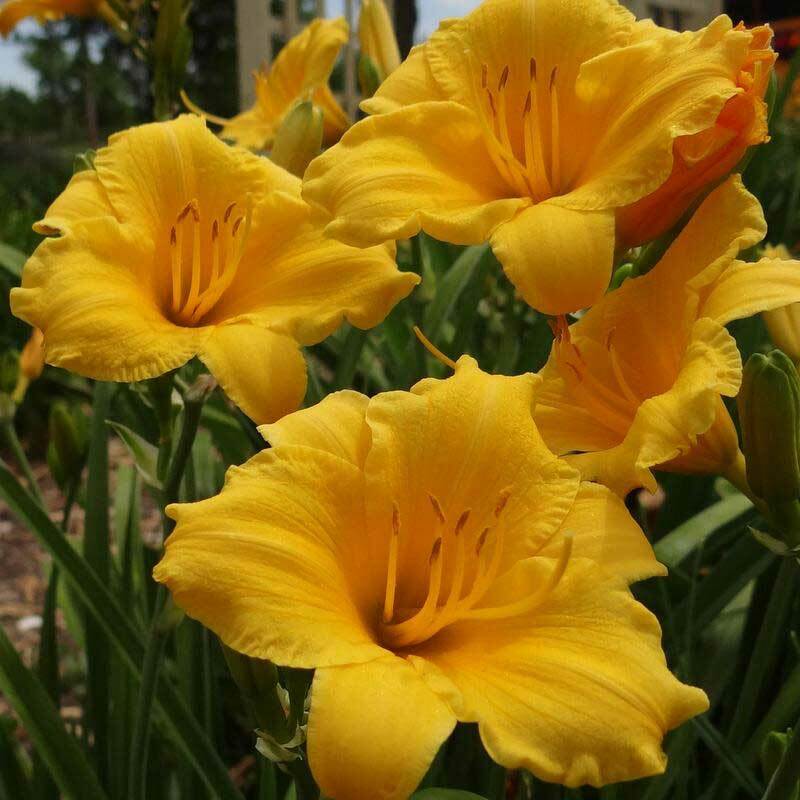 I know that a lot of people feel that this lily is over used by commerical landscapers, and granted it is in our area, and seen every where but for a carefree, hardy, reblooming Daylily it can’t be beat. Even if you have a “black thumb” this little plant will not fail you. 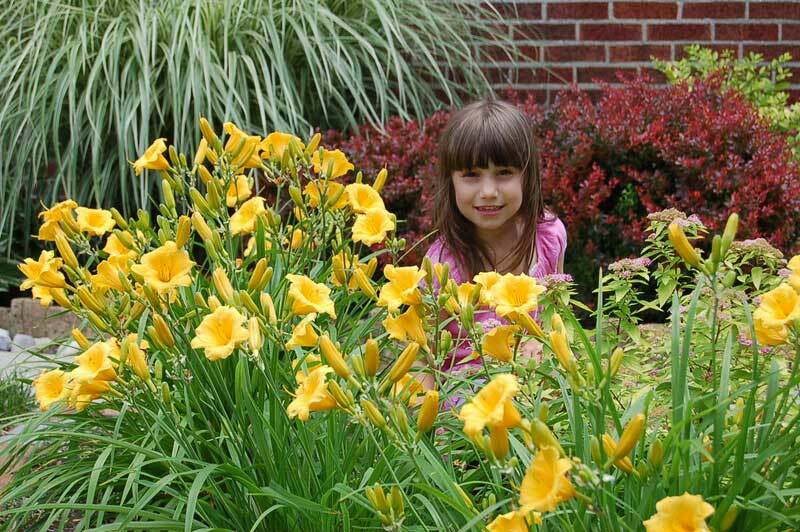 Its bright cheery yellow-gold flowers are a bright spot in anyones yard, just about no matter where you place it. I started with one plant and have about 10 small ones and two very large clumps that need dividing soon. I have given many away to friends and family and they love them too. In this case “common” is OK with me…. I am not a -purist- and love and respect this wonderful plant. You really can’t go wrong with this one. I have a rocky, shady, dry area under some large trees where hostas (and of course weeds) were the only plants that survived. Last year on impulse I picked up a few Stellas and planted them in this spot as they were less expensive than hostas. Well, now these amazing plants each have 10+ scapes full of buds (!) What was once a shady eyesore is now a bright and cheery focal point. I still can’t believe what a difference this made and how well the Stellas have done there. This is an indestructable plant. I think even someone with a brown thumb would be able to grow it. This is the first one to bloom for me. The little happy blooms are such fun. I deadhead the seedpods which are abundant to encourage a quicker rebloom. It is great to use for a garden border because it will quickly fill in and keep thing in order. Terrific plant. Very nice blooms that continue into November here if the plant recieves enough water. Quick multiplier. Great for the landscape. Stella de oro is a reliable early bloomer with lots of rebloom. It has been blooming since April. My poor Stella’s have been through flood and drought since planting two years ago. They have withstood all the extremes that my hot, humid Houston climate can throw at them and performed beautiflly to boot. The clumps are now large enough that I’ll divide them this fall. Great plants! The Stella has become a day-lily staple. I love it’s bright cheery color and wonderful fragrance. It looks fabulous next to my lace-cap hydrangeas. We planted several Stellas many years ago, and have been totally impressed at the continuous blooms, and the complete lack of care these little plants have required. They are the first of our perennials to bloom (early June), and are also the last (late October). They are covered in pretty flowers all the time. A MUST for any garden! My Stellas have a huge amount of foliage; but they have a zillion blooms, also! They’re in a really damp location (they curve in front of Ligularia Dentata) and are surrounded by Coreopsis verticillata; my tribute to the color yellow. But against the backdrop of a HUGE purple Clematis (Jackmanii) they are simply GORGEOUS! I also have Black-eyed Stella; but in a drier, more moderate environment. 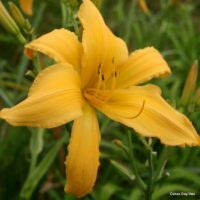 I compare all daylilies to Stella. I purchased several last year and divided them before I planted them. They did really well last year but I can’t wait to see her this year! You just can’t go wrong with Stella since you will be able to divide this plant often. I’m so proud of my little Stellas! I’m in zone 9, too, and I thought they wouldn’t do well but they did! They struggled a little at first, but then they began to bloom and rebloom and just now they started in again in early September! I’ll be buying lots of them to plant in my new home here next month. This is the bloom champ of my yard. It never stops blooming! Last fall it bloomed into November! I also like it’s dainty size. Highly recommended! This plant is very hardy, has a wonderful bloom and a beautiful smell. Low maintenance, and adds wonderful color to my hostas and dianthus. If you’re a beginner gardener you will absolutely love this daylily. I put it out and it has performed very good for me with little work involved. Even though I live in zone 9 and should be using evergreen or semi-evergreen, this plant has performed beautifully for me. I planted them last spring and they bloomed the first year with good growth but they are spectacular this year! They started blooming at the very end of March and I’m hoping they will continue ’till frost as they did last year.